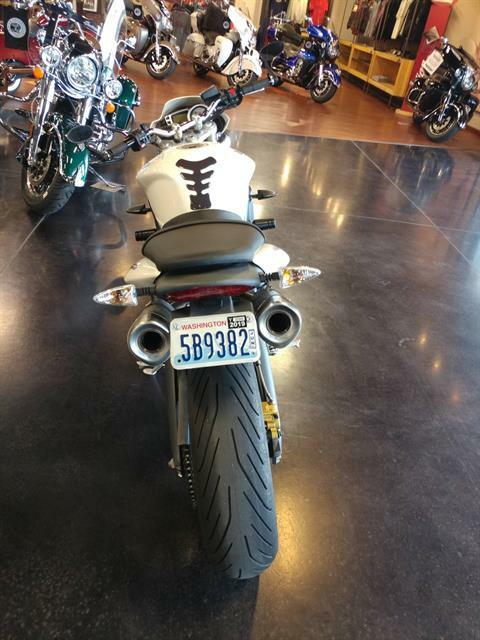 Street Triple. The naked street bike. 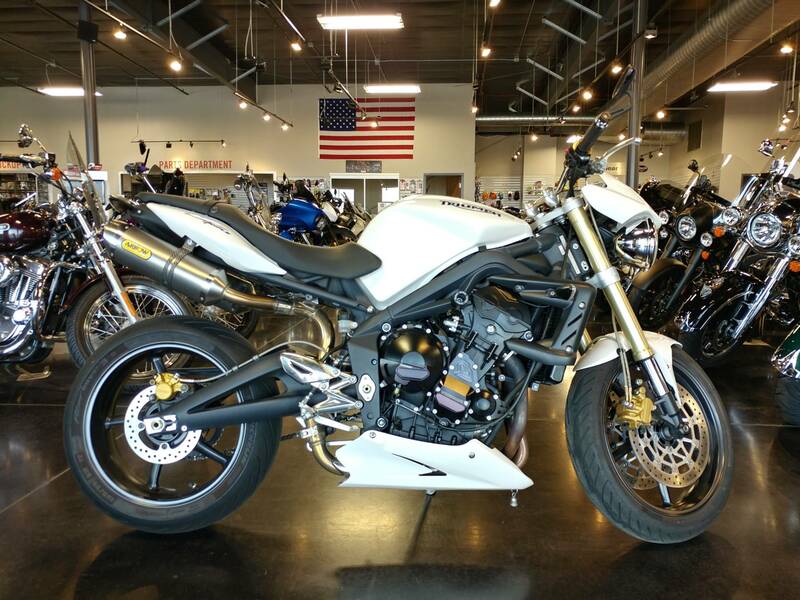 A global hit since its introduction in 2007, the Street Triple fuses the style and attitude of the iconic Speed Triple with the performance and agility of the class-leading Daytona 675 supersports machine. The result is a truly impressive middleweight streetfighter that has attained critical success around the world. 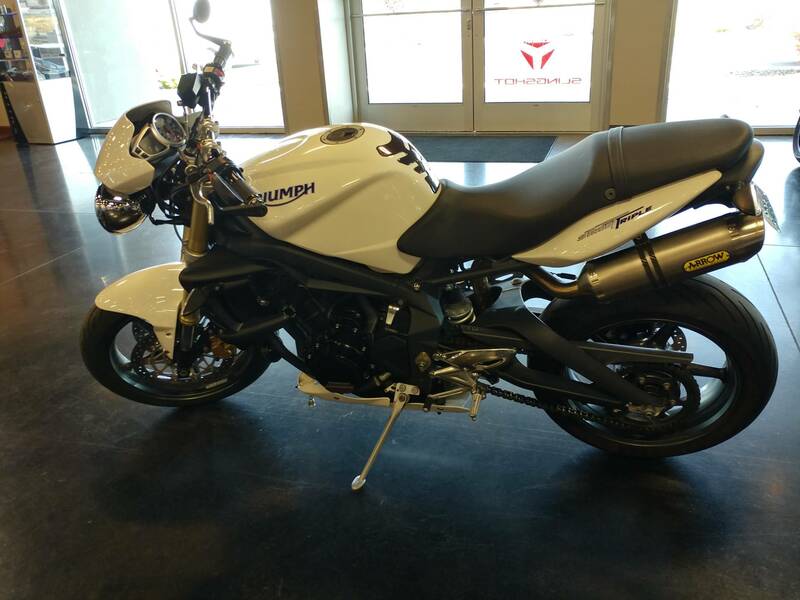 At the heart of the Street Triple is a retuned version of Triumph's unique 675 cc triple, delivering 107 bhp and 51 ft. lbs. of torque. It's so good you'll have trouble believing its only 675 cc. The torque and sound of the liquid-cooled, 12-valve triple, combined with a close ratio 6-speed gearbox produce an exciting, exhilarating ride that has made the Street Triple our best selling model since its launch. 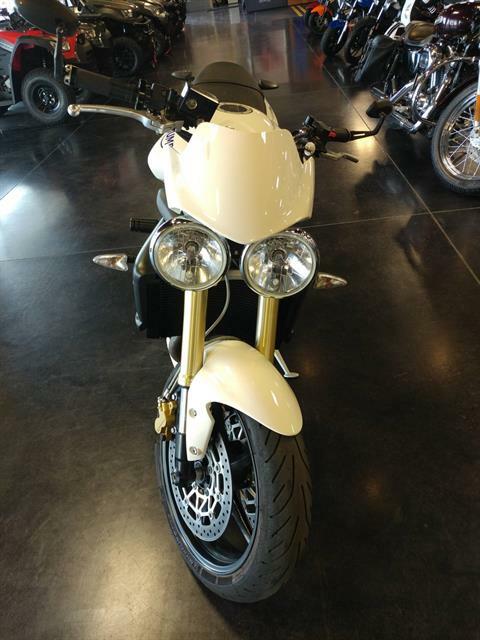 The look is pure factory streetfighter and pure Triumph. With the iconic twin headlamps, upside-down forks and twin high-level exhaust, you'd be forgiven for mistaking it for our legendary Speed Triple. 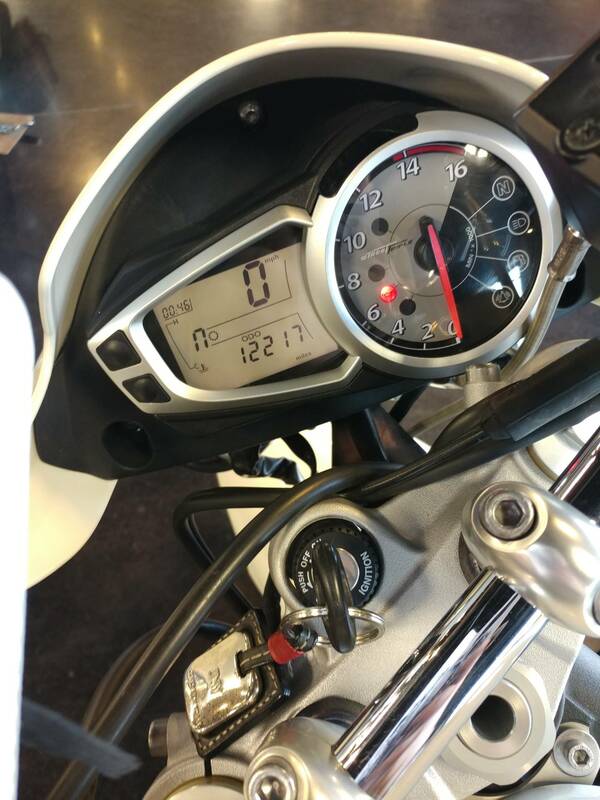 Derived from the class leading Daytona 675, the Street Triple’s 675 cubic-centimeter, water-cooled, three-cylinder, twelve-valve engine delivers strong low and mid-range performance from start to redline, and produces more than 44 foot-pounds of torque from 3,500 rpm right through to 12,300 rpm. The close-ratio six-speed gearbox maximizes the effectiveness of the engine’s impressive power and torque, always giving you the perfect gear.